I have been working on a project for OMSI Bus Simulator. I have made a custom keyboard for OMSI, and have finished a mount for the steering wheel. 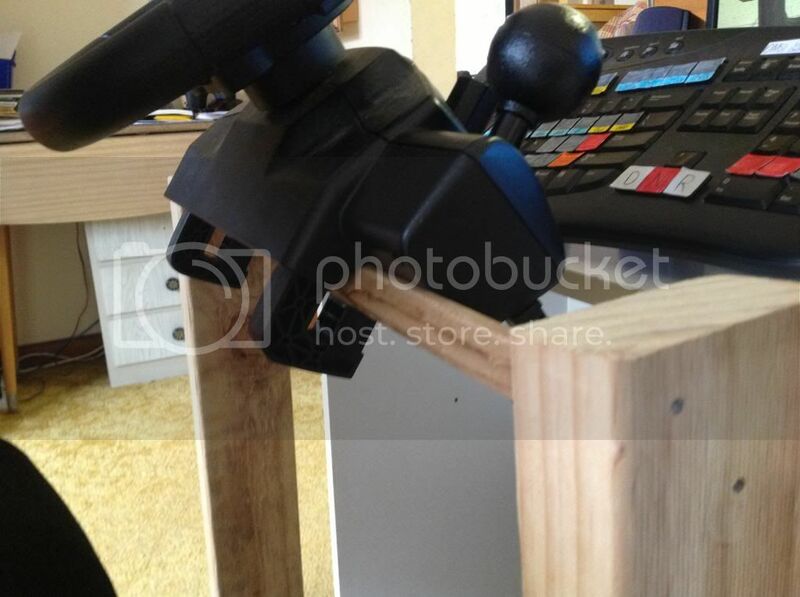 It is just a basic wooden mount used to angle the wheel. Yes, I have seen this. I was thinking of getting a LED and wiring it up to the stop requested light. But that's a thing for the future. 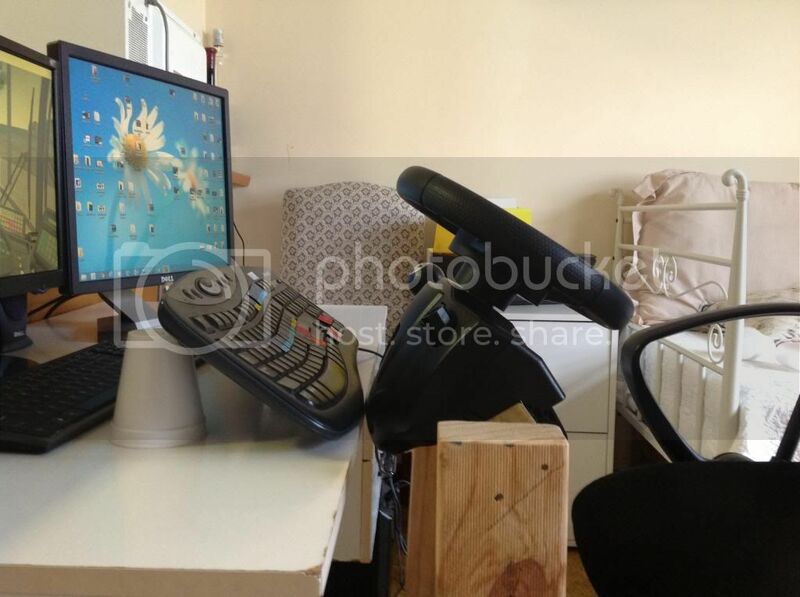 Eventually I will get a small desk and make it the "drivers quarters"
THat's great - I think your effort is really good - getting a whole dash just takes it to the next level as well - I would llike to see a video of one in operation. I am not familiar with OMSI, but it must be alright if people are going to this effort to play it. Are all the buses left hand drive or can you drive on the right hand side? 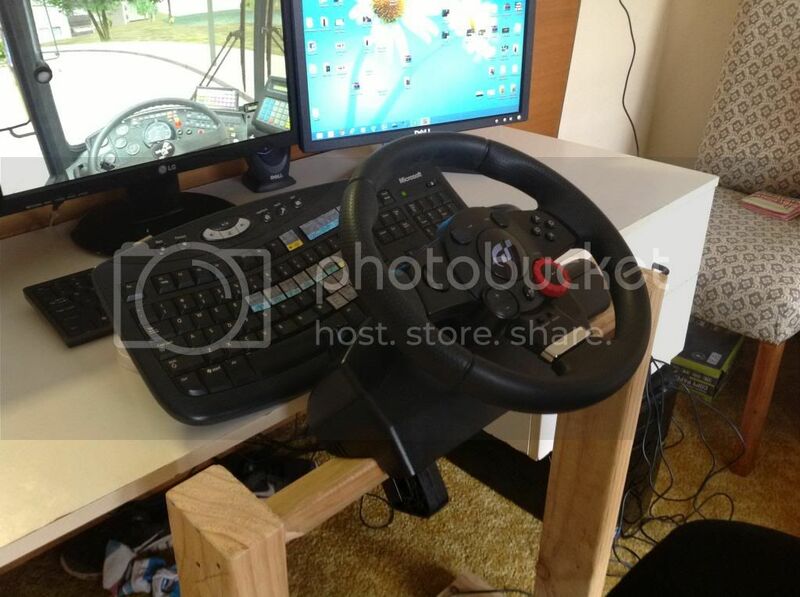 AEC Decker bought a Thrustmaster Force Feedback steering wheel to use with Need For Speed® & Microsoft Monster Truck Madness® which mounted to the table and had accelerator and brake pedals, but the left hand drive gear shift setup was a pain. It was a pretty basic setup, but how far do you go and how much money can you afford to get the ultimate driving simulator ?. A full size car or bus connected to your PC ? (nice thought). The dedicated keyboard and dedicated wide screen LCD as Ryder uses is a step in the right direction. @Andrew Thanks! I did have a video of me driving but that was before I made the stand. But I will make one eventually. The default buses are left hand drive, but you can get user made buses that are right hand drive, and I am pretty sure there are also right hand drive maps. @AEC Decker I would love an ultimate driving simulator, but I may as well go out and drive the real thing for the money it would cost. I have plans for a proper dash, even if it means stealing the one off the MkV's that is being used for engine donation. But then again I am not that good with wiring up the Arduino board that you need to make it with. Overall, I am quite happy with the current setup, and when I find a free spot in the house or garage, I will make it the OMSI corner and then get more advanced with the whole 'cockpit'. Bus-1809 uses a Logitech G27 wheel. Makes those night shift thrashes much more fun! Also makes night shift in a Pie Cart more fun too! 2900rpm before shifting! I have OK speakers, but the wires are a bit shaky and sometimes lose connection. I am thinking of getting some Logitech speakers and maybe even some Logitech headphones. AEC Decker has Logitech X-530 5.1 speakers, surround sound is excellent for driving simulator type games (like Trainz, etc) for that "actually being there" effect. Thank you all for the suggestions! I now know what to add to my birthday wishlist. @Trolley Bus Racer I have seen this before and have subscribed to him. I think it is amazing and can't wait to see an update on it. I think it would come in handy for other people like me who wish to do the same thing. Side window area and seen here is the pretend Glenorchy Mall. That could turn out nice, if you add some decals. I have installed a plugin that turns the LED's on your keyboard into indicator lights. I made this quick video explaining it. I will upload a gameplay video of my setup soon, it has been edited and just needs to be uploaded.